Divassence Go Gorgeous Giveaway Series! 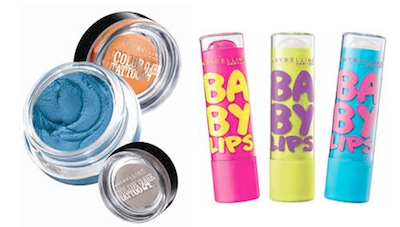 : Giveaway 1: Win a Maybelline Color Tattoo Eyeshadow and Baby Lips Lip Balm! - Divassence! It is time for a series of Giveaways on Divassence! And this series is called “Go Gorgeous!” and you’ll know why in due course of time ;)Go Gorgeous Giveaway 1: Win a Maybelline Color Tattoo Eyeshadow and Baby Lips Lip Balm of your choice! There will be two winners. You can either win the Eyeshadow or the Lip Balm. Check the swatches of the Color Tattoo Eyeshadows here. Open only to residents of India; For those of you living abroad and wish to enter, you can do so if you have an Indian address to which I can ship the products if you win. If all the mandatory entries aren’t complete then your entry won’t be considered. Super awesome giveaway! !me wants the color tattooooooooo!!!!!!! I dont have facebook; have completed all the other steps 🙁 am I still a valid entry?! I really really want to win the color tattooo! Thanks for this Awesome giveaway ! !I am a great eye makeup freak so I would like to win the Maybelline Color tattoo!! THANKS ME WANNA WIN BABY LIPS ITS REALLY LUGKING AWESOME WANT IT…..
Bhushavali – Indian Fashion n Travel Blogger! lovely giveaway ! i entered ! i like the color tatoo ! Both the prizes are awesome. But if I have to choose one, I will choose the Baby Lips Lipbalm as it is really cute and adorable and is difficult to resist it. It will make my lips soft and smooth. Color tattoo coz the colors are fab and I wanna win the shades I dont have. Lovely Giveaway dear . .Well I want try the maybelline eyeshadow cause I have been noticing it on my every trip to the mall but just missed the opportunity to pick one up. cute give away..entered..i would love to win color tatooo.. I want the eye shadow…… Pomegranate Punk looks so wonderful in the swatches…..
amaazing giveaway dear!! i had been eyeing the maybelline baby lips since they had launched in India…. it would be so great if i get a chance to win them…. looking forward to the results and many more posts…. I’d like to win the color tattoo. I’m loaded on lip balms to last forever. now-a-days m learning eye makeup and enjoying that more..
oh n why? Bcoz i have dry lips n i want my baby lips BACK! I badly want the color tattoo..
i would like to win the color tattoo as i want to experiment with these new cream eyeshadows…. Awsum give away.. really want to win the color tattoo.. Thanks so much for the giveaway, hope I win. is it open to India? loved both…but wanna win the color tattoo………..